Dealing With Constant GSD Barking? Problems Solved. A GSD will bark to express its feelings and emotions. 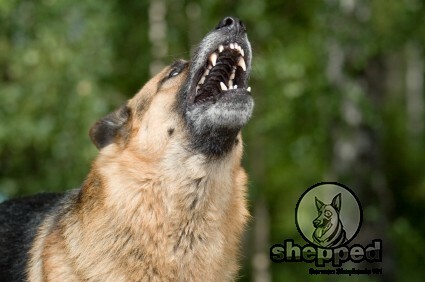 However, if its barking becomes irritating and out of control, you need to make it stop. If you are getting complaints from your neighbors that your dog constantly barks and howls when you are not around, you need to do something about it. You cannot make the barking stop completely as it is a natural way of communication. However, you can try to control it with the help of certain training tactics. Why is My GSD Barking Constantly? To control that annoying barking sound your GSD makes, you will first need to get to the root of it. You cannot stop your dog from barking if you don’t know what’s causing it to bark in the first place. Many GSDs constantly bark because they do not like being alone. If you leave your dog alone for long hours and sometimes off the schedule, your GSD will react to it. It is natural for a dog to get upset if you do not give it the time it needs. It sees new faces in the house. It feels threatened by someone or something. It sees a stranger entering your home. It feels isolated or lonely. It’s suffering from separation anxiety. It is locked outside the house. Hearing a dog bark constantly is very annoying and totally unbearable. When you get the first complaint from your neighbors telling you that your dog couldn’t let them sleep, act immediately. Take notice of the situation and try to figure out what pin-pointed this behavior. If you continue to get complaints from other people, try the following techniques. Try to understand what your GSD really mean when it barks. Is it angry or just wants to play? This will help you deal with the situation in a more effective way. If your GSD starts barking whenever you have a visitor at the door, take help from voice commands. If your dog continues to bark, try to distract it. When a GSD barks at visitors, this usually means that it is trying to protect its family and territory. If so, let your dog know that it is in a safe environment. If your GSD stops barking once you let the visitors in, offer it a treat as a sign of appreciation. Repeat this for several times until your dog creates the connection and learns to stay calm whenever someone rings the doorbell. GSDs are extremely territorial and dominant. They do not like interference in their property and become overly protective when they feel threatened. That’s why it is essential for your dog to socialize at an early age. Expose your pup to your family and friends circle. Let it mingle with strangers, children, and other animals. 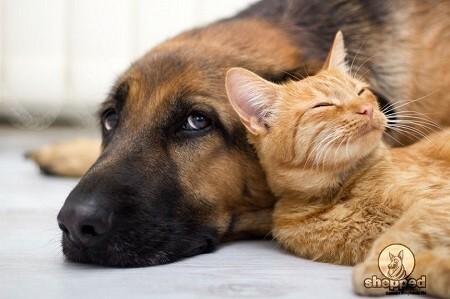 This way it will feel calm and comfortable between others and will not see them as a threat. This is a great way of teaching your GSD to bark only when you allow it to. 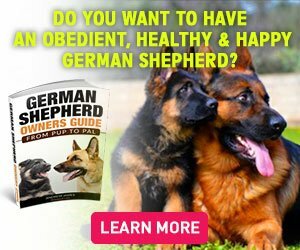 The best way to have control over your GSD’s barking habits is to include it in its obedience training lessons. If your pup doesn’t bark, it doesn’t mean that you can sit back and relax. Its territorial instincts can kick in at any point and then you’ll be left with no option but to suffer. Obedience training is the best type of training that turns a wild GSD into a home dog. Due to the success of obedience training methods, many people around the world prefer buying GSDs for their homes. Use a clicker to train your dog to bark and when to stop. Say ‘No’ when you dog barks without your consent. If your dog is exhibiting good manners during the training, praise it. Keep the barking to commands only, which means that allow your dog to bark when you give it a heads-up. Make your GSD learn to alert you to certain conditions. For example; if a stranger enters your property, if someone breaks into your home, if someone in the family is hurt, etc. This training method will help you use your dog’s barking for appropriate things only. If you are annoyed hearing your dog’s bark and complaints from the neighbors, do not lash out on your GSD. GSDs are not those dogs that can be controlled with power. These dogs are not only strong but extremely dominant. When someone tries to control them using force, they react with aggression. Sometimes these dogs will become violent when they are being beaten or shouted at. Stay calm and deal with your dog’s barking habit with patience. Only then you will be able to make it go away. If you have any questions related to GS behavior and barking, feel free to share them with us.